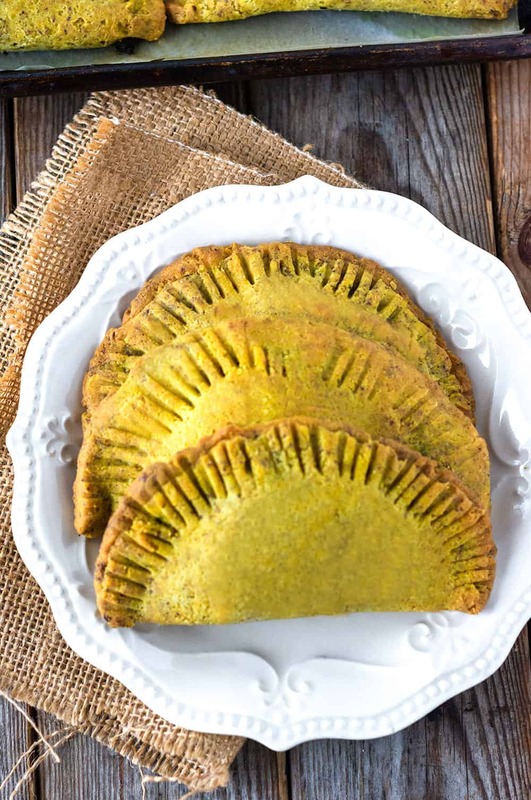 Tender and flaky Jamaican callaloo patty recipe that is full of flavor. 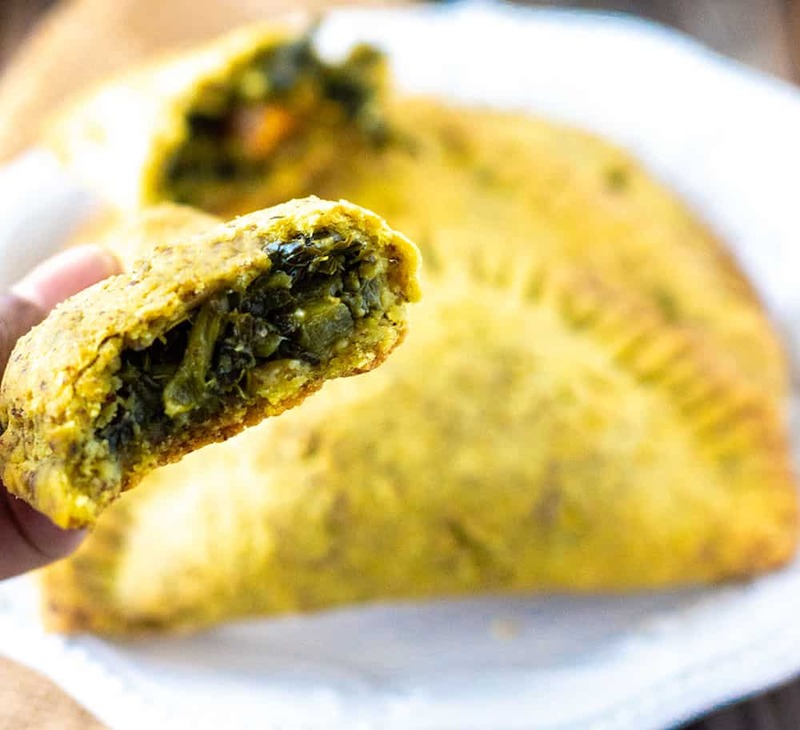 Seasoned callaloo greens with onion, garlic, tomato, scallion, thyme, Scotch bonnet pepper in a flaky gluten-free, vegan homemade crust is the perfect snack or side dish. After having success with my Jamaican lentil patties, I kept experimenting wanting to make a more flaky dough and finally, I nailed it. This amazing patty crust was the result of a mistake I thought I made. The dough was too wet for my liking. So not wanting to throw out the dough, I put it in the refrigerator to figure out what to do with it later. I then went back to the drawing board to make another crust which failed. At this point, I decided to move on to another recipe but I just kept going back to the first dough in my mind. So thirty minutes after it was resting in the refrigerator I made up my mind to use the dough and see the outcome. When I uncovered the dough, it was the perfect texture I was looking for. The patty dough rolled out easily, it didn't fall apart and it turned out to be my best crust creation this far. I'm so tickled and thankful for the mistake. Callaloo is a staple dish in Jamaica, it is a dark leafy green. Jamaican callaloo is the genus Amaranthus Viridis not to be confused by other greens called callaloo throughout the Caribbean. For instance, it is important to note that taro, dasheen, yautia leaves are also called callaloo in other parts of the Caribbean. Callaloo is the Jamaican version of collard greens or spinach. 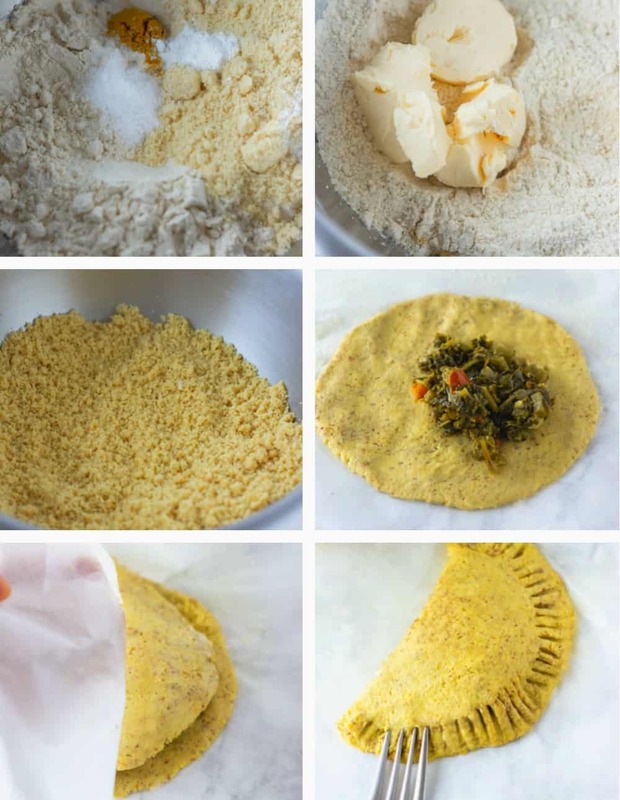 To make the callaloo patties, first, make a batch of and set it aside to cool completely. 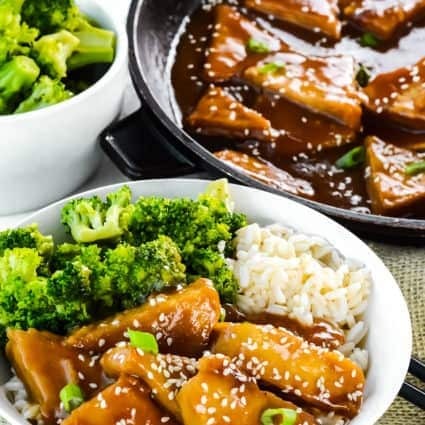 This can be prepared ahead of time. Prepare the crust, combine Gluten-Free All-Purpose Flour (I used Krusteaz brand) in a bowl, add almond flour, ground flaxseeds, curry powder, baking powder, salt in a large bowl and mix well. Cut in vegan butter (I used Earth Balance brand) in the flour, using a pastry cutter or your fingers until the dough is crumbly and looks like bread crumbs. Add cold water and mix to form a dough ball, the dough will be much wetter than you are used to but don't be alarm. Cover bowl and transfer to refrigerator for 30 minutes. Preheat oven 400 degrees F. Line a baking sheet with parchment paper and lightly spray or grease with oil. Set aside. 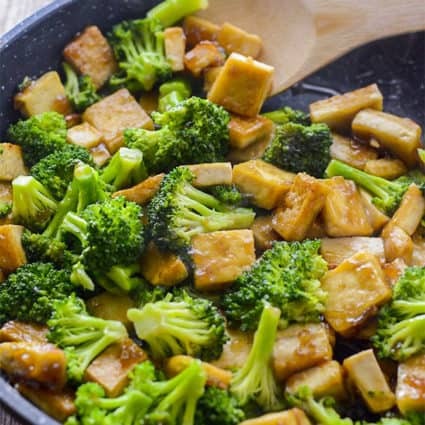 Remove bowl from the refrigerator, divide dough into eight or nine pieces. Using an extra sheet of parchment paper roll out each piece of dough into a 4-inch circle, about 1/8-inch thick. Add about 1 heaping tablespoon or more of cooked callaloo in the center of the dough. Fold half the dough over the filling to make a half moon shape, then press the edges, the edges should easily stick together. Using the tines of a fork, press the edges to seal. Repeat until all the dough balls are filled. Transfer patties onto the prepared baking sheet, bake for 25- 30 minutes or until golden brown. 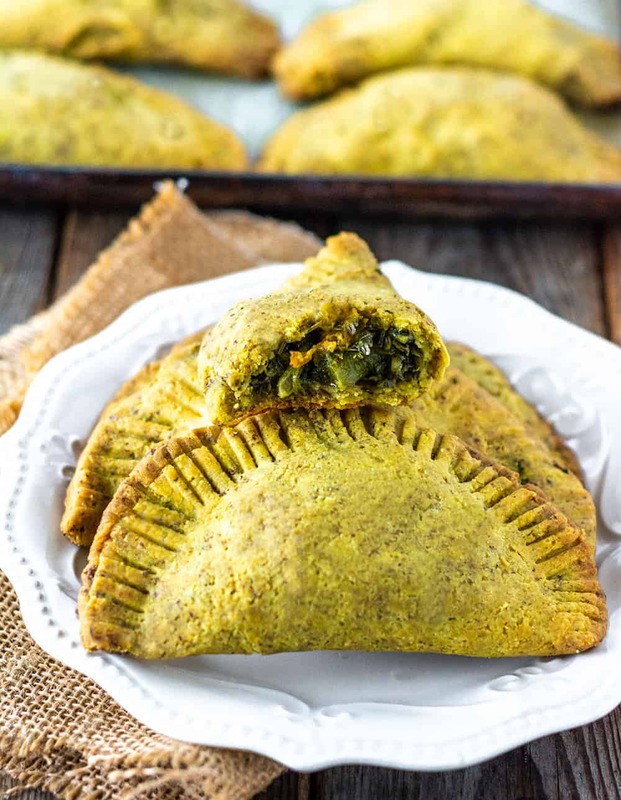 If you make this Jamaican Callaloo Patty Recipe, snap a photo and hashtag #healthiersteps — we love to see your recipes on Instagram, Facebook & Twitter! Oh my gosh. This was the best. I put garbanzo beans inside instead of callaloo. The favor was worth the effort. I’m so happy you enjoyed it Amanda and it turned out great with garbanzo beans. Thank you for your feedback. I haven’t had callaloo for years, thank you for sharing! Charlene, I hope you enjoy it. I too also made same recipe but we call it Rava dosa. I liked your all recipes. Pranita, thank you for stopping by Rava dosa is not the same dish.